Sri Lanka’s parliament voted Thursday to block any spending by the prime minister’s office, further paralysing a government adrift from weeks of conflict as two rivals claim to run the country. 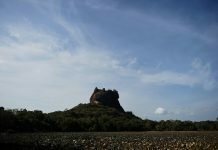 The island has been in crisis since October 26 when the president sacked prime minister Ranil Wickremesinghe and replaced him with Mahinda Rajapakse, a charismatic but divisive former leader. Wickremesinghe has refused to stand aside and commands a majority in parliament, which has twice voted against Rajakapse’s leadership and demanded he vacate the top office. In a further effort to undercut his power, parliament moved a resolution cutting off funds to the prime minister’s office, depriving Rajapakse of the cash he needs to run government. “We propose to stop any spending because he is not holding the position of prime minister legally,” said Ravi Karunanayake, a legislator from Wickremesinghe’s party. Meanwhile, two MPs defected from the Sirisena-Rajapakse faction on Thursday to Wickremesinghe’s camp, dealing a further blow to the ailing government unable to stamp its authority since last month.